Last fall I taught a class to international teen girls which I entitled “Life After ED,” where ED refers to eating disorders. I borrowed that title from a book I have not read because it so perfectly encapsulates what I want people to know: there is life after eating disorders. People need the hope of a life abundant when they’re in the midst of a struggle with scarcity. 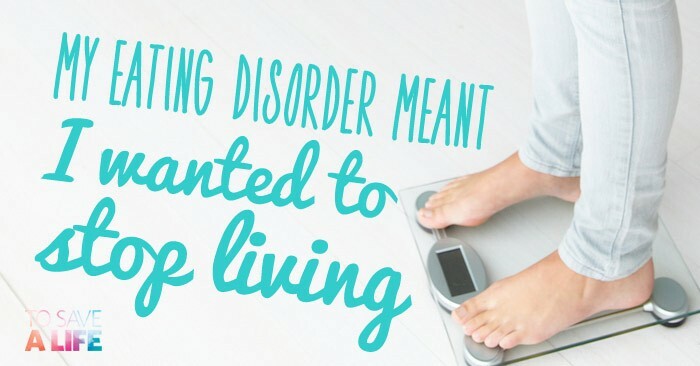 When we talk about eating disorders, we’re talking about a range of struggles, including anorexia, bulimia, binge eating disorder, orthorexia (obsession with “right” eating), and eating disorders not otherwise specified (EDNOS). The research I’ve read indicates that 75% to 80% of women will deal with some sort of food or body image issue in their life, and many are easy to hide, so when I talk about eating disorders, I’m not just talking about extreme cases. Food and body image issues are struggles for all of us. Most of the girls in that class were Third Culture Kids, and most of them didn’t know my story. It feels like such a healed part of my life that I rarely think about it nowadays — and I often forget to tell it. So I started out by telling my personal story through the lens of a cross-cultural transition, because that was my experience. Then I touched on some theology regarding our bodies (including the concept of Imago Dei), and finished with a discussion of ways to seek healing and freedom in this area. Today I’m only going to share some practical ways to choose life in the midst of a body image or food struggle. As I’m still in the early stages of truly understanding “the theology of the body” (yes that too is a borrowed book title), I’m going to skip that section of my class. And because I’ve published my eating disorder story before, I won’t rehash it here, even though the story I told these girls had some additional (and also very personal) details. So without further ado, here’s my list. And since this list is relatively short, feel free to ask for clarifications on any of the items, whether publicly or privately. Break the shackles of shame. I want to take away the shame of struggling with these things. They’re common to women. They’re not terrible or shocking, whether it’s to me or to God or to so many other women out there. So take a deep breath. These struggles with food and body hatred are just part of your life right now. The only way to move forward and get them out of your life is to acknowledge them. And remember, you are NOT alone. Get some help. You really need some outside help to fight your food and body image battles. It’s very hard to walk this path alone. So talk to someone – a parent, a counselor, a pastor, a teacher, another safe adult. But NOT a peer. Not a friend. It’s not that you can’t confess these things to your friends, but you can get into trouble partnering with a friend in fighting an eating disorder. It can become about competition. Or it can become about endorsement, where you and your friends all know you struggle, and you “accept” each other, but there is no accountability to grow or change. A counselor, on the other hand, will help you delve into the reasons why you stumbled into this eating disorder in the first place. A Christian counselor, in particular, will help you stand on the truth of God’s word and seek Jesus for the healing of your mind and your body. But make sure your counselor feels safe to you. If you’re not comfortable with one, look for another. Don’t expect a quick fix. There is no special prayer or special person’s prayer that will magically and instantaneously cure your struggle. There is only consistently walking with Jesus toward healing and restoration and consistently realigning your mind with the truth of God’s love. There is only “a long obedience in the same direction” (to reference yet another book I haven’t read). Don’t be thrown off guard by relapses. They are normal; I had three. Three separate times I stopped eating enough, lost too much weight, and stopped my normal female functioning too. It happened twice in high school and once after I had my second child. Remember, relapses are NOT the end of recovery or healing, and they don’t mean that no healing or recovery has occurred. They are just a temporary setback. So take a deep breath and start again to walk this road of healing. Don’t get your ideas of what your body is supposed to look like from magazines or images on the internet. This is simple to understand but difficult to live. I know how tempting it is to look at those pictures and compare yourself to them. I know how tempting it is to compare yourself to your own personal idea of a perfect body. But those images, whether on a screen or on a glossy magazine page, or inside your own head, don’t tell the truth. They aren’t real. Don’t let them lie to you about what is beautiful or valuable or what you must look like. Reject those ideas, they’re not from God. Put down the magazines or turn off your phone or your computer if you have to. Know where your value and worth come from. When God formed us from the dust, He stamped us with His image, something He didn’t do for any other creature. This is the idea of imago dei: the belief that all human beings, regardless of status or creed or “usefulness” or even likability, are valuable, because the God who created them is the one who gives them their value. Imago dei is what needs to be restored when we struggle with disordered eating, body image distortion, body shame, body hatred, or the effects of sexual abuse. So remember how much you are worth — body, soul, and all. Look in the mirror and declare God’s Word over yourself. This can be really hard and uncomfortable at first. Get into your underclothes and stand in front of that mirror and speak out loud statements like, “I am fearfully and wonderfully made,” or “I am created in the image of God, and God himself says that’s very good,” or “I am a child of God,” or “I am in Christ Jesus, and there is no condemnation for me, not even from myself,” or “The Spirit is setting me free from these things.” It’s hard at this stage to accept your physical body as something good, but try practicing these things and see if they help. Work on portion control, but avoid calorie counting. Portion control can be hard. Whether you’re accustomed to restricting OR overeating, it’s difficult to learn to listen to your body’s signs of hunger and fullness and to eat a normal, regular amount of food that’s not too big and not too small. Look up recommended portion sizes if you want, but don’t pay too much attention to calorie counts. Calorie counting is both legalistic and addictive and tends to be used in fear, not freedom. So don’t get hung up on calories. Hold onto hope for healing, restoration, and life abundant. I stand before you today free of obsessive thoughts of body hatred. I may have occasional thoughts of dissatisfaction, but I am free of obsession and the accompanying depression that my body is not good enough (and that therefore I am not good enough). So I want you to have HOPE: hope for freedom and wholeness and a full life after dealing with eating disorders. Remember that God is not giving up on you. God longs to live in you, in body, soul, and spirit. He will not give up on you, no matter how many times you binge, purge, or starve. He loves you the SAME. Always the same, eternal, everlasting, pure, perfect love. Of course we will make mistakes and let our beliefs and thoughts get all messed up. Of course we will make mistakes and make poor choices: that’s why Jesus came. God knew we would need Him, and He never gives up on us. The Christian young adult website To Save a Life is publishing a revised version of my anorexia story, which I originally published here as Open Letter to Moms. The revision is different enough from the original that it warrants mentioning, and I wanted to direct you, our dear blog readers, to it. You can read the new article here. There is a lot of food at Khmer weddings. Course after course of meat. But I’m not really a meat kind of girl. I’m really a carb kind of girl. Maybe it’s a holdover from my high school days. My formerly eating-disordered-self refused to eat anything but yogurt (the fat-free sugar-free type, yuck) and bagels (everything-bagels anyone?). True story. Just ask my mom, who had to buy all that tasteless yogurt and dozens upon dozens of bagels. Or ask the family I nannied for one summer, who asked me what they should stock their kitchen with (bagels and yogurt, duh). Whatever the reason, when it comes to me and meat, I would still just rather pass. At a Khmer wedding, they usually serve 4 or 5 courses of chicken, fish, pork, squid, duck, beef, shrimp (you get the idea) before serving any carbs at all. I figured this out early on, that I have to wait several courses to get to the fried rice that I really want. There is a catch, of course. The servers don’t bring out the next course until a table has eaten sufficiently enough of the last course. So I eat the broth from all those meat dishes while everyone else eats the meat. Now I really am a broth kind of girl. Remember that breakfast wedding soup? Well, I mostly ate the broth from it too. (And remember that yummy fried bread they serve with the soup? Well, it tastes suspiciously like an unsweetened donut – proof that even donut-haters can change their ways.) Plus, if you only eat the broth, you won’t accidentally eat the congealed pig’s blood that ends up in some curry dishes. Don’t ask me how I know that. Besides, can anyone tell me how to eat meat with only a spoon and two chopsticks for utensils? I haven’t figured it out yet. If you have, then by all means, enlighten me. At this wedding, though, I finally asked my friend, why do they wait so long to bring out the food I love? I mean, who can stomach all that meat without a single bite of starchy goodness? It’s because rice is so filling, she told me. If they bring it out in the beginning, they would be telling their guests to fill up on rice. It would be sending the message that they’re stingy with the meat, the expensive part of the meal. It reminded me of the Bible story where Jesus turns water into wine, and everyone is so surprised when the hosts bring out the best wine last, because people usually serve the best stuff first. So it seems that across millennia and across people groups, hosts show their good host-iness by serving the best stuff first. But if you happen to like the worst stuff best, then you just have to wait for the good stuff.